Last night I took my camera and walked over to the East River to get some shots in for the day. It was the perfect time of night – the sun was starting to set and the water looked beautiful! Here is a photo I shot which was a close runner-up to the nuns. It gives you an idea of how gorgeous of an evening it was – just look at that full moon! 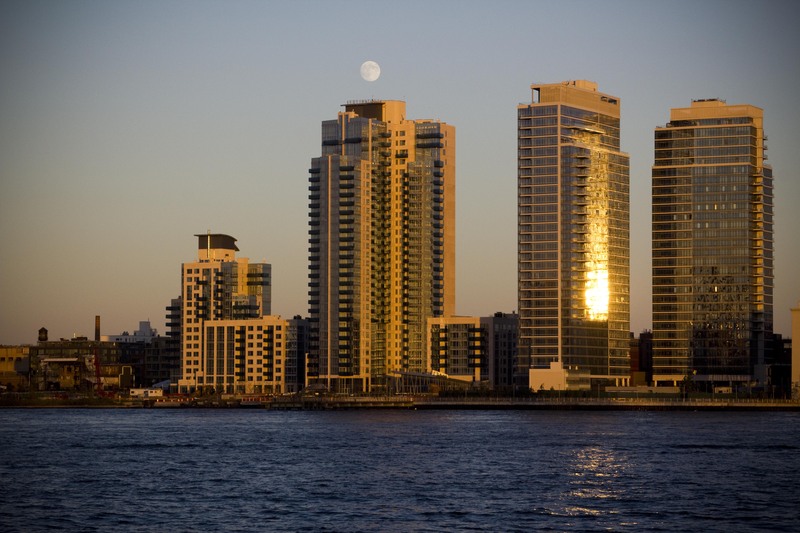 These are new high-rise apartment buildings in Williamsburg – right across the river from my hood. Anyway, by the time I headed back it was starting to get dark. 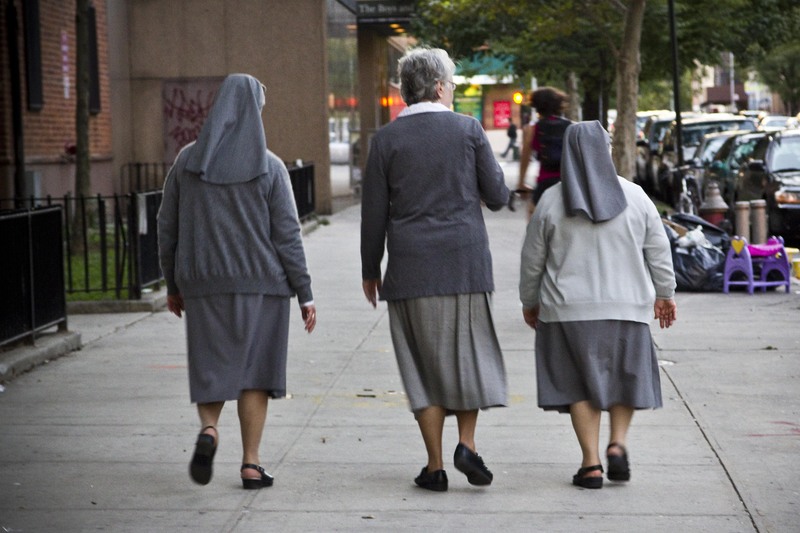 I crossed the 6th street overpass over the FDR and ended up behind these nuns. I was glad, because I had to walk six blocks down Avenue D and Avenue D still makes me a little nervous – especially when I’m walking around with my nice camera. So I just kept a slower pace than normal and followed the nuns – I figured nobody would mess with nuns right? Of course – I had to take pictures. They’re so cute – all different shapes and sizes.